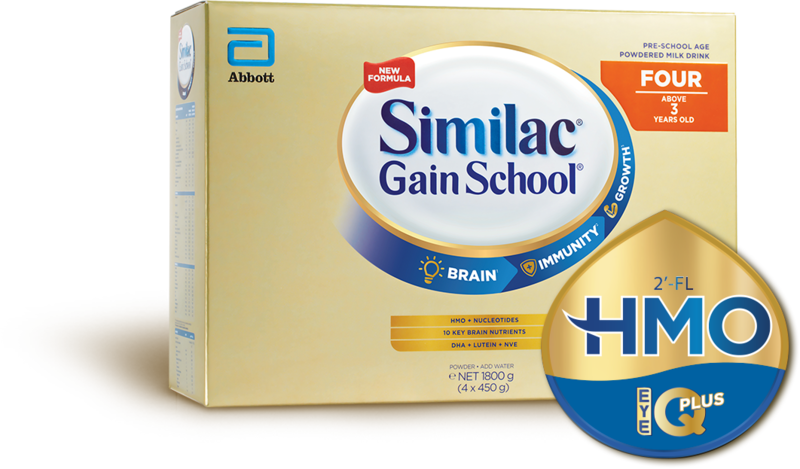 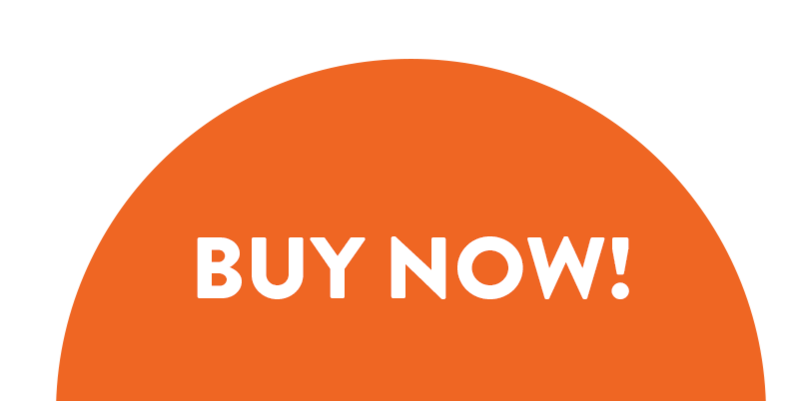 Give her the new Similac GainSchool that has HMO Immunity and the clinically proven EyeQ Plus with 10 key brain nutrients for faster learning. 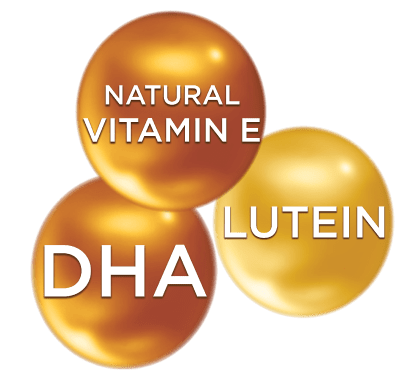 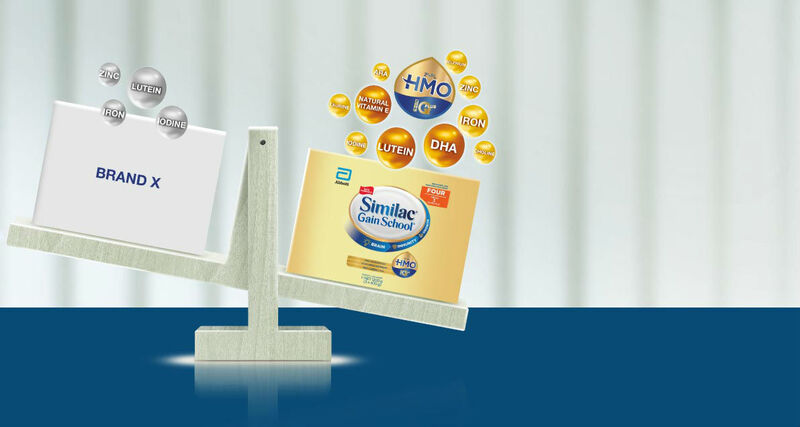 Only Similac GainSchool has the powerful combination of Natural Vitamin E, DHA and Lutein that helps meet your child’s nutritional needs to enable faster brain connections, so she can learn faster. 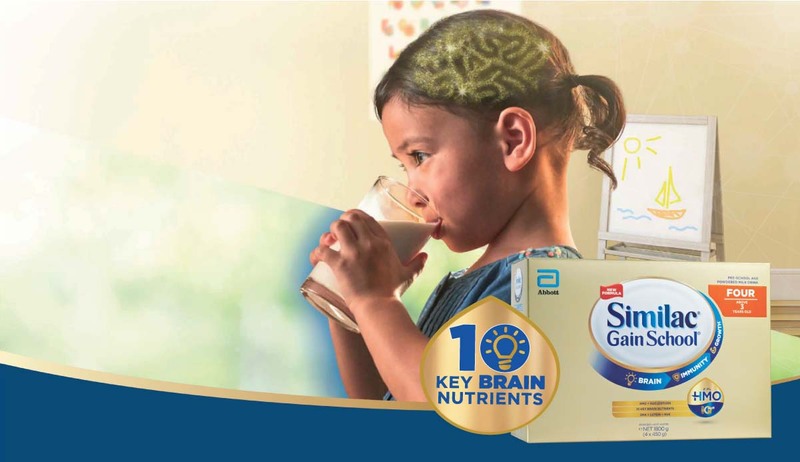 Only Similac GainSchool has the powerful synergy of Natural Vitamin E, DHA and Lutein that makes most of the milk nutrition that your child needs to enable faster brain connections so she can learn faster.